Rose’s Puppy School has been going for 17 years in 2016 with great support from responsible puppy owners, vets and other trainers in the area. The course consists of 6 weeks x 1 hour classes once a week for pups between the ages of 9 weeks and 4 months. 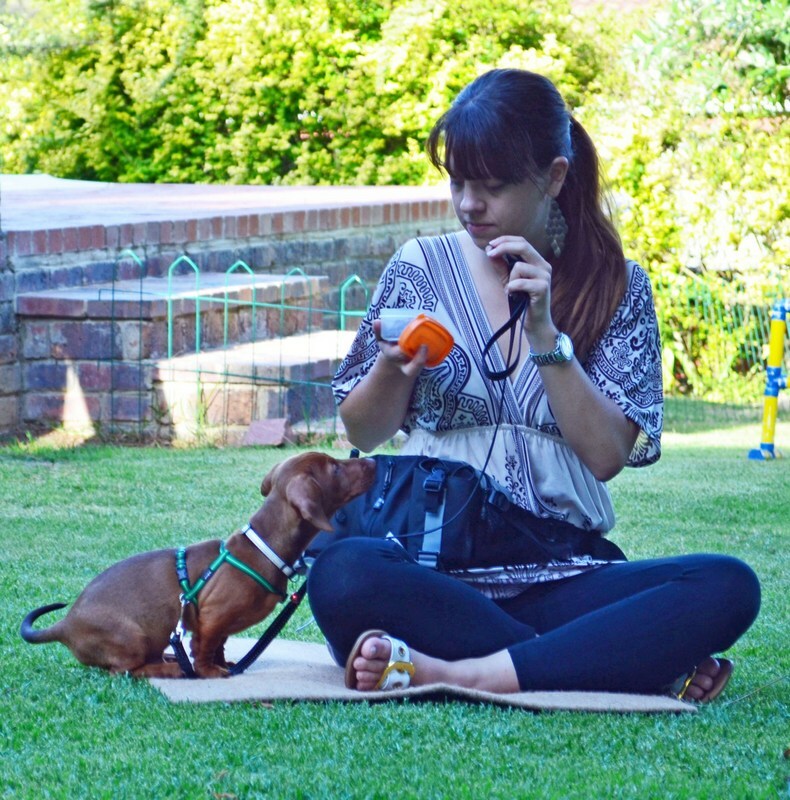 The classes are run in our garden in Somerset West, so are easily accessible to owners living in Strand, Stellenbosch, Kuilsriver and Gordons Bay too. Each class includes time for pups to play off lead (strictly controlled for maximum success for each pup, bold or shy); basic obedience; information for guardians to learn more about understanding their canine kids; basic TTouch (see Websites I Recommend); ground work/obstacles.It is essential that playtime is not just a free for all as this is where your pup will learn social skills that will last a lifetime. All training is done using scientific methods, encouraging positive reinforcement to build good relationships between dog and human. This means the pups have a lot of fun and usually LOVE coming to class. It has been shown that by 16 weeks puppies need to have been exposed to many different people, situations, dogs and other animals to be able to reach their full potential. The longer we wait to do this, the harder it is for a dog to adapt his instinctive, natural reactions to unusual situations. We strive to help each puppy become a more balanced animal, learning to cope with our sometimes challenging human world. Puppy schools were developed to help owners achieve this in a safe environment for pups who have not yet finished their vaccinations. I am a guild member of ThinkingPets (see Websites I Recommend) who help ensure that a high standard is maintained. Please visit my Facebook page: Rose’s Puppy School for links to great information that will get you started on laying a good foundation for your pet.